Let your kids enjoy the fruits of the App Store while learning with these educational and fun apps. 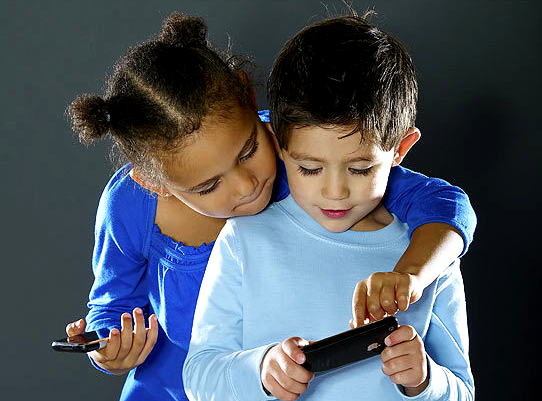 The iPhone and iPod Touch are not just for adults, but for kids too. There are so many educational games out in the market. Electronic books for them to read, puzzles to spend countless hours to complete, and games that will give you free time to do your chores without your kids annoying you. Now, if you’re looking for the best alternative that will make you hit two birds with one stone, All We Like will give you an advice — grab your iPhone or iPod Touch and download educational apps and games for them to play with. There is a huge number of apps to choose from. Whether we’re dealing with a toddler, pre-school or even a high school kid. The App Store will give your child apps to enjoy and master. To help you out in picking the right one for your kid, here are AllWeLike’s top picks of Educational yet Enjoyable apps. 1. Itsy Bitsy Spider - Remember the popular children’s song Itsy Bitsy Spider? Oh now it’s in the App Store and it’s interactive! Let your kids sing along with the famous spider, count and make their own music as they help Miss Spider crawl back up the water spout. 2. Nick Jr.’s A to Z with Moose and Zee – Nick Jr.’s Moose and Zee will help your kids work through a series of puzzles and adventures to learn the alphabet — from A to Z. It will help your child associate letters and words and other things around them. 3. Handy Manny’s Workshop - Manny and the tools came out of the TV and dived into your iDevice as an interactive kiddie app. Help Handy Manny solve puzzles, sing construction songs, locate missing tools and master a match-up game. Surely, your kid will love this PlayHouse Disney app. 4. Preschool Adventure – If your child needs a little bit of practice on letters, shapes, numbers, arts, colors or sounds, Preschool Adventure is one of the best apps to download. It’s like having teacher in the comfort of your home for a very low, low price. 5. Bob Books – Bob Books will help your little one in the foundation of their reading skills. Recognizing letter sounds and understanding basic sight words and attractive, descriptive illustrations come to life with colors, as children put together words and sentences to work their way through book. So whether, you’re dealing with a toddler or a pre-school, always remember, kids learn more things by themselves. Sometimes, all you have to do is sit back, relax and enjoy while your little ones enjoy their fun time learning.